CameraMatrix allow us to multiply a "matrix" by the value of rgb. For example, here is kinda normal pass which was rendered in CG as normal in world space, and then we will convert it to one in camera space. How? We can do this with multiplication the value of rgb of normal in world space and the inverse matrix which is "rotation matrix" of camera. 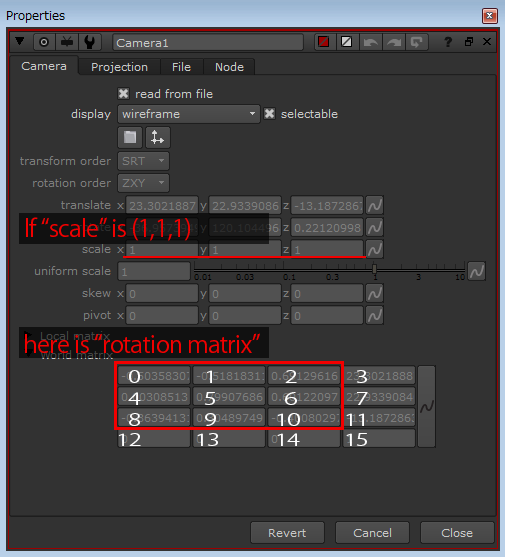 Well, when scale of Camera node is (1, 1, 1), you can handle as the world matrix of Camera node as the "rotation matrix" of camera. Actually it should be in m, m, m, m, m, m, m, m and m.
And then, put them in ColorMatrix node. 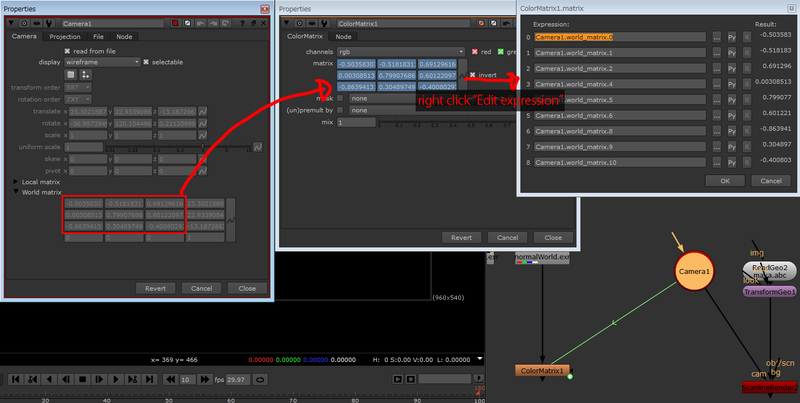 Because we use it as inverse matrix, just check "inverse" box. And We can get the normal pass in camera space! In case that camera space one would be converted to world space one, we don't need to check "inverse" box. You can rotate your normal pass in this way.